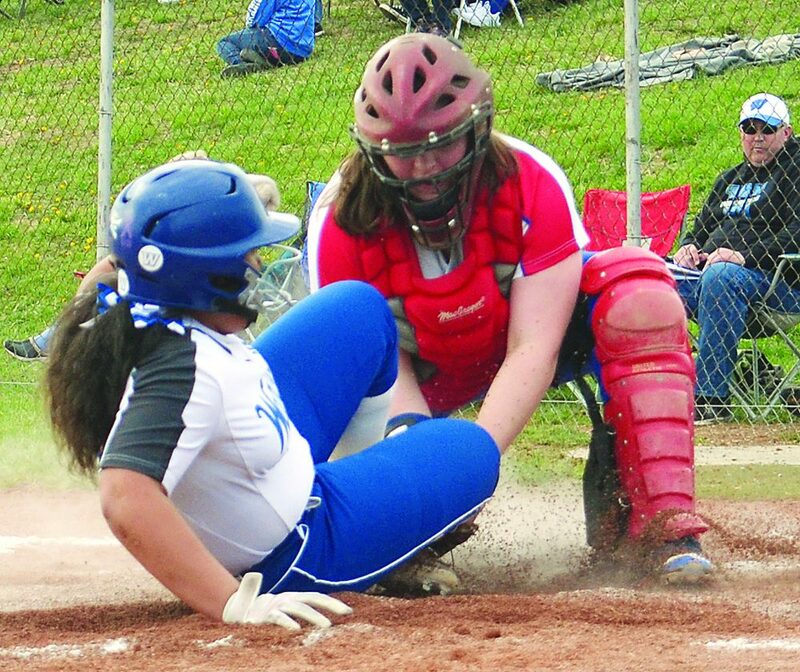 RON JOHNSTON The Marietta Times Warren’s LaDea Waderker, left, slides into homeplate as Fort Frye catcher Lindsay Heiss applies the tag during a high school softball game Wednesday in Vincent. 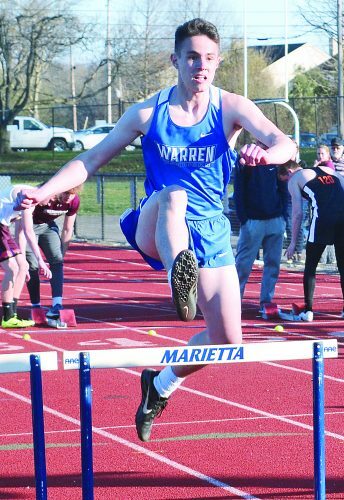 VINCENT — Even when Warren High was whiffing, it was still lighting up the scoreboard. 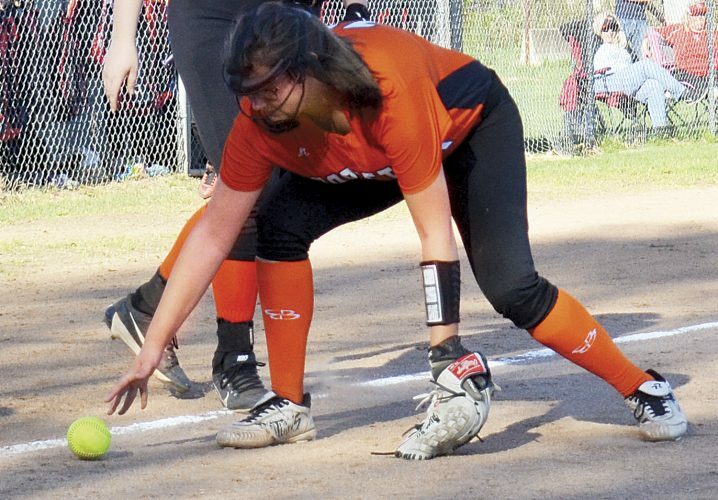 The Warriors tallied 17 unanswered runs, including two on a strikeout in the fourth frame, en route to a five-inning 17-3 mercy triumph over visiting Fort Frye High in a softball game Wednesday night. Warren freshman catcher Olivia Congleton led the hit parade with three knocks, including a double and three runs-batted-in. Diamond Decker and Olivia Shutts added two hits apiece, and drove in a combined three runs. Kenzie Nelson and Baileigh Reynolds had two RBIs apiece while Becca Williams and Kaya Nicewarner each had one. Decker picked up the win in relief for the Warriors (4-10). Nelson and Nicewarner also hurled. Fort Frye (2-10) was led by Hannah Offenberger, Lindsay Heiss, Divinity Neihart, and Sidney Barnhouse, who each had one single. 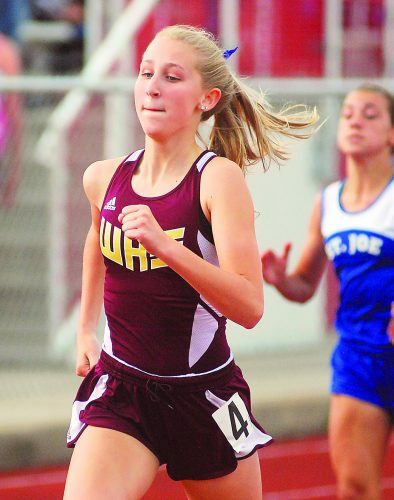 Righty Mady Harper suffered the setback in the circle. The Cadets staked themselves to a 3-0 advantage in the top of the first with Heiss and Maria Fisher each plating a run. Another scored on a Nelson wild pitch. “We are notorius for starting slow,” Dickson said. After going scoreless in the bottom half of the first, Warren scored seven runs in a bat-around in the second and never looked back. 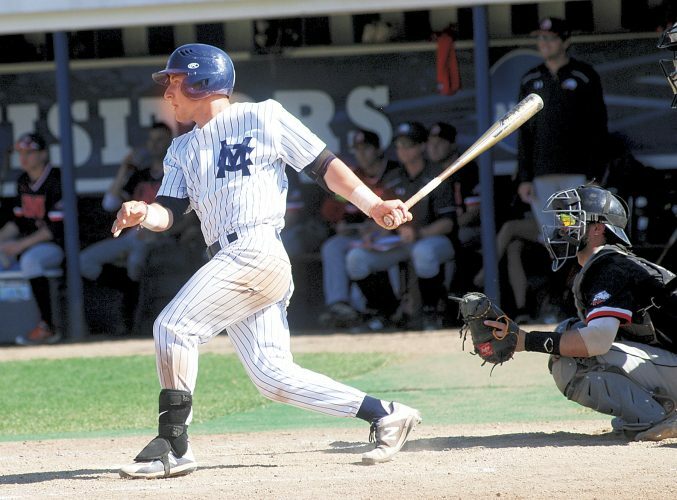 During the surge, Congleton singled home two runs, and Nelson plated a pair on an opposite field double to right. Decker also added an RBI single. 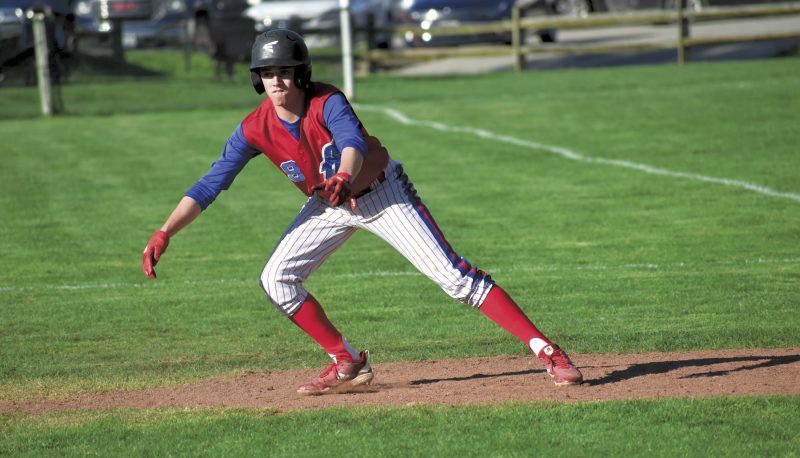 The following frame, the Warriors stretched their advantage to 12-3 with a five-run outburst. Congleton had the big hit, a two-run double. Becca Williams and Decker also had RBI hits. 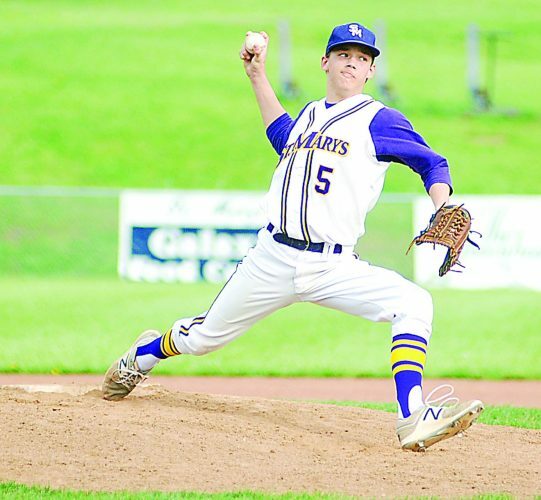 In the fourth, Warren continued to prosper, and even scored two runs after Madison McKenzie struck out. On the third strike, the Fort catcher dropped the ball, and Warriors’ Emily Foster and Leah Way, on third and second base, both hustled home.